Members of the Fayette County Board Of Elections participated in Election Officials training on Aug. 22 at the Mills Park Hotel in Yellow Springs. The day-long training included a legislative update, Americans With Disabilities Act accessibility updates, safety and security tips for election day and tips for positive media relations. The Fayette County Board Of Elections is preparing for an efficient election this November. Front - Jamie Brooks, Beth Ann Snyder, Merilyn Long, Jamie Teeters, (Back) Myron Priest and Robin Beekman. Members of the Fayette County Board Of Elections participated in Election Officials training on Aug. 22 at the Mills Park Hotel in Yellow Springs. The day-long training included a legislative update, Americans With Disabilities Act accessibility updates, safety and security tips for election day and tips for positive media relations. The Fayette County Board Of Elections is preparing for an efficient election this November. Front – Jamie Brooks, Beth Ann Snyder, Merilyn Long, Jamie Teeters, (Back) Myron Priest and Robin Beekman. https://www.recordherald.com/wp-content/uploads/sites/27/2016/08/web1_IMG_0005.jpgMembers of the Fayette County Board Of Elections participated in Election Officials training on Aug. 22 at the Mills Park Hotel in Yellow Springs. The day-long training included a legislative update, Americans With Disabilities Act accessibility updates, safety and security tips for election day and tips for positive media relations. The Fayette County Board Of Elections is preparing for an efficient election this November. 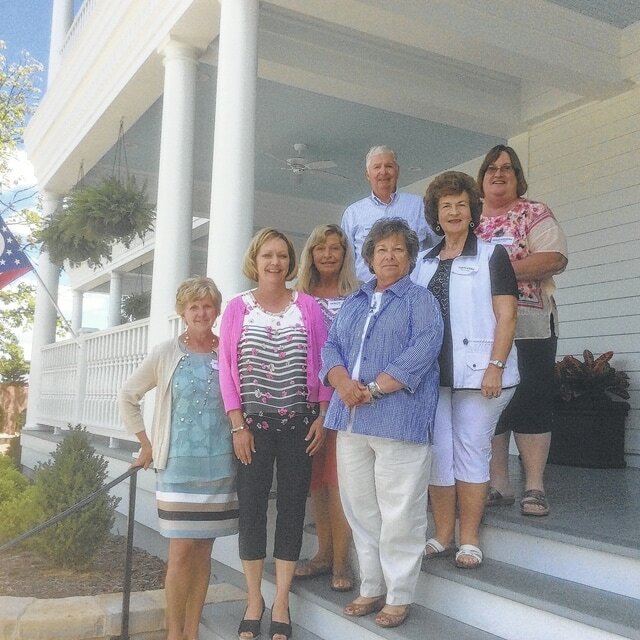 Front – Jamie Brooks, Beth Ann Snyder, Merilyn Long, Jamie Teeters, (Back) Myron Priest and Robin Beekman.